Rodolfo Gonzalez, apart from being a very genial chap, is also very hungry for LMP2 success with Murphy Prototypes this season. Eyebrows were raised when he was classified as a silver driver after a season of F1 testing with Marussia and before that GP2. It was explained to DSC though that because he has not raced consistently since 2012 that his status was set as thus. 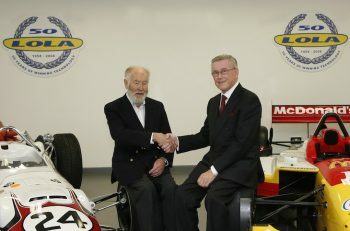 Greg Murphy confirmed that he had been speaking to one other high-profile 2013 F1 test driver but a deal had recently stalled. The New Blood by Morand team are in very good shape. Christian Klien will be among the most rapid drivers over a stint this season and last year’s LMPC champion – Gary Hirsch showed much promise on his LMP2 debut. Dunlop did not bring their new soft tyre to Ricard so there is more to pace to come over a single stint for their runners. The mediums showed improved consistency over a double stint. Rene Rast is very fast……in anything. Wow what a revelation (not)! 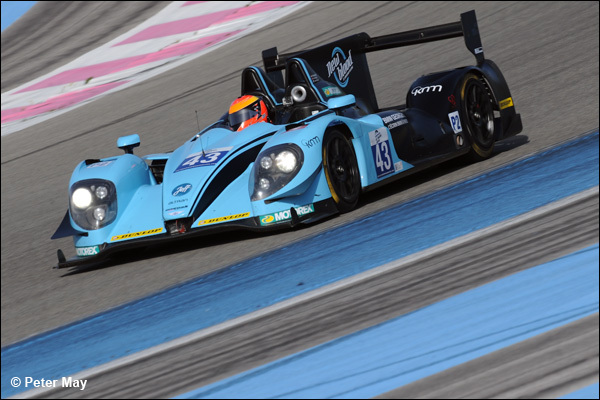 Oli Webb is impressing the Signatech Alpine squad with his pace….and his flawless French vocabulary! Larbre are in good shape. Olivier Pla and Pierre Ragues showed expected pace in the Judd powered Morgan. Keiko Ihara will bring the brass. Jota Sport’s arrangement with Audi on drivers looks like being the most inspired of the season already. It remains to be seen where Race Performance go from here. Their Oreca-Judd, although this is not confirmed, looked to be beyond repair. DSC believes that the team has already contacted Boutsen-Ginion about the possibility of a lease deal for Silverstone, Imola and Le Mans. Off the radar but doing very solid jobs on public LMP debuts were Tony Wells, James Littlejohn and the astonishing Matthew McMurry who could become the youngest ever driver to race at Le Mans this season if he is ‘activated’ in to a seat between now and June. The influx of quick, young drivers from GP2, GP3 and World Series by Renault is great news for the ELMS, which appears to be in very rude health for 2014. Those testing at Ricard triggered interest to others who were not, via Twitter, with last year’s GP2 front runner Tom Dillman stating he wanted a part of the sportscar action. 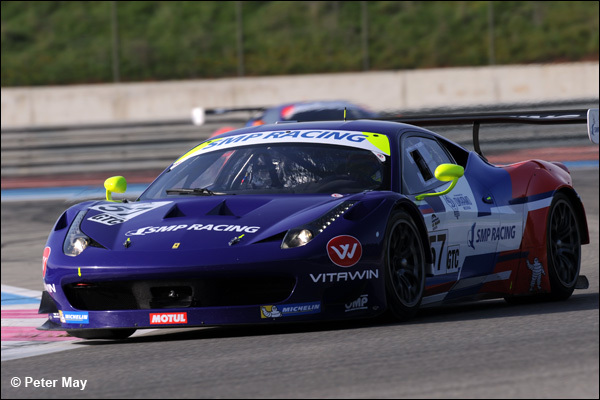 Michele Rugolo and Matteo Cressoni could prove to be the benchmark in LMGTE Ferrari’s this season. 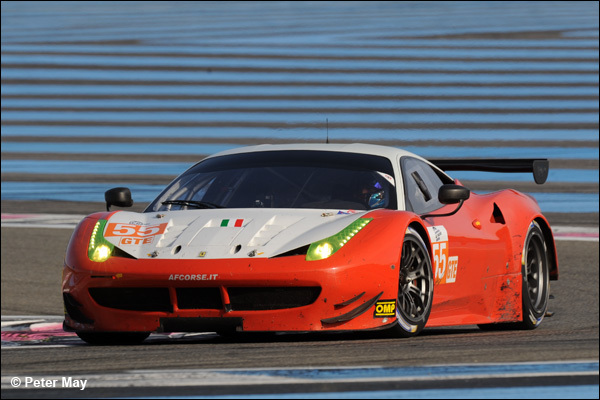 With Griffin and Cameron as team mates the #55 AF Corse 458 looks to be very, very strong. The Prancing Horse looks to have a clear advantage in the LMGTE class. Rivals none too impressed by the BOP-ness of this advantage. Gulf Racing is confirming their line up for the Porsche entry very shortly and is likely to have a very strong line-up indeed. Ben Barker would be a very exciting prospect if a deal can be done. 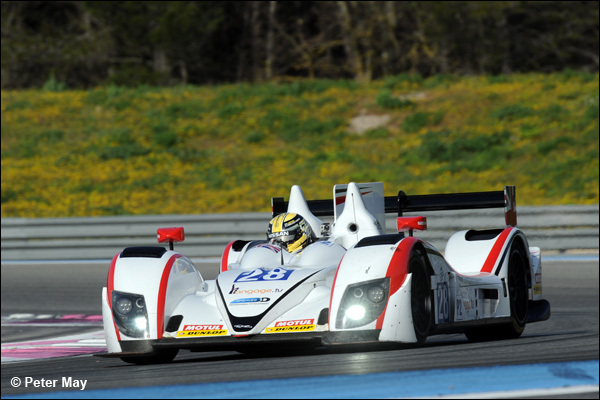 GP3 racer Ryan Cullen acquitted himself very well at Ricard and will also be a very promising future GT driver. 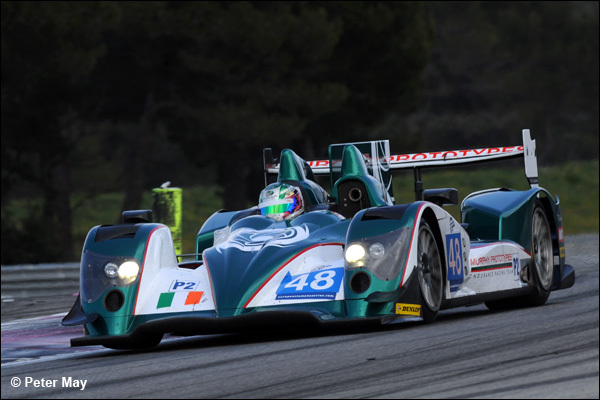 In GTC the SMP Racing squad looks to be the favourites going in to the season. Kiril Ladygin is a very hot prospect. 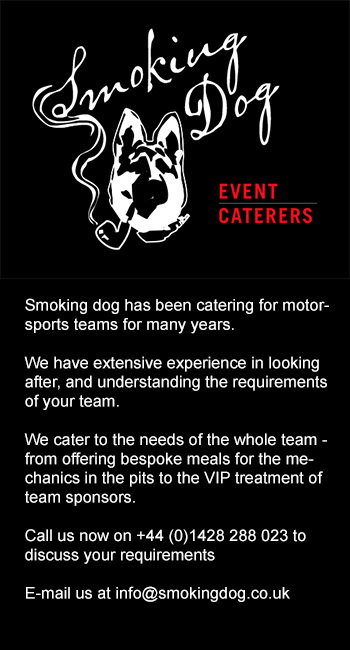 ART Grand Prix and AF Corse…..of course! Will be strong challengers too. Alex Brundle is hoping to finalise a deal with Frederic Vasseur managed equipe for races this season. The rapid Kevin Korjus is also likely to be officially confirmed in the coming days. 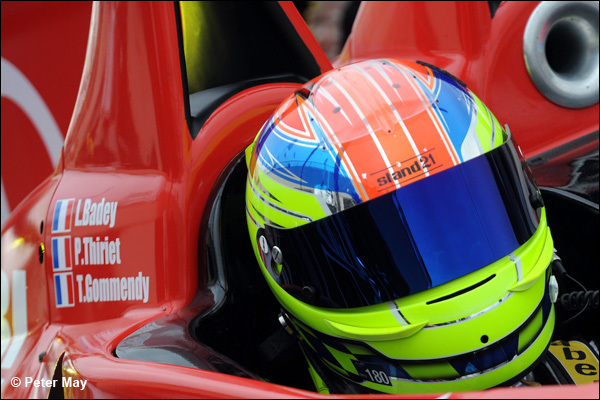 *Greg and Karun Chandhok joked with DSC about the Irishman’s glowing eulogies on Brendon Hartley, who was given his LMP chance by Murphy Prototypes in 2012 and has gone on to become a Porsche LMP1 works driver in 2014. Rumours of this shrine appear to be terrifyingly true!